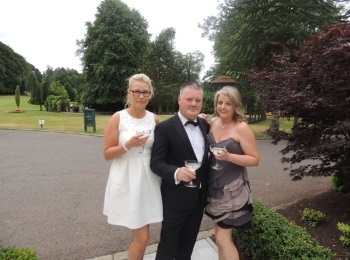 On 14 July 2018 participants from the World Luxury Spa and Restaurant Awards gathered at the magnificent Galgorm Resort & Spa in Northern Ireland for the annual event, recognising and celebrating exceptional service in the luxury wellness and fine dining industries. The red carpet was rolled down the stairs and out between the wide pillars and high arches of the impressive venue – The Great Hall. 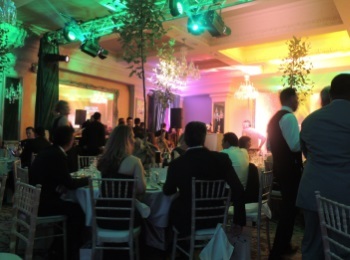 Guests were welcomed at the entrance by the sound of Irish Uilleann pipes and a single reel Irish dance performance as they were led into an ‘Enchanted Forest’ reception area where exotic cocktails and canapes were served. 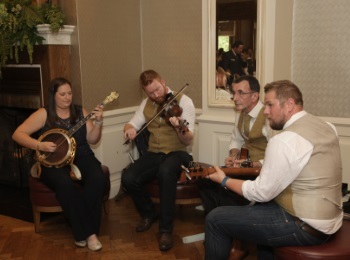 The guests were immersed in a truly memorable celebration of Irish culture, fine food and ‘craic’. 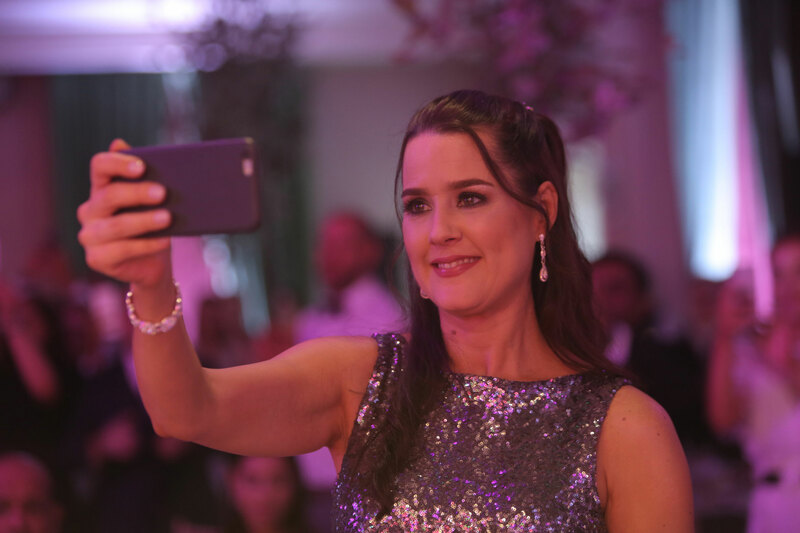 Over 200 guests from 42 countries across the globe attended the occasion filled with opulence, glitz and glamour. This is our 3rd year to take part in the awards having attending Pontresina, Switzerland in 2016 and Hanoi, Vietnam in 2017. On both occasions we took home awards, read more at 2017 Awards & 2016 awards here. For a full list of 2018 winners, visit http://www.luxuryrestaurantawards.com/winners/2018-restaurant-awards From Ireland we met many industry colleagues, it was a pleasure to share an evening with them. 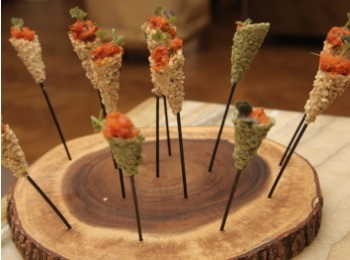 This truly unique experience was enhanced by the symphony of tastes from award winning produce representing the best of Northern Ireland’s cuisine on the flavourful 5-course menu. Resort Head Chef, Donna Hughes, oversees the menu selection of all the resort’s outlets and proudly presented the best on offer for the evening’s enjoyment, this included local goat’s cheese, prawn bisque, followed by lamb (2 ways), locally sourced honey and dairy for the buttermilk panna cotta, and was finished off with a selection of Irish cream fudge and coffee macaroon’s. 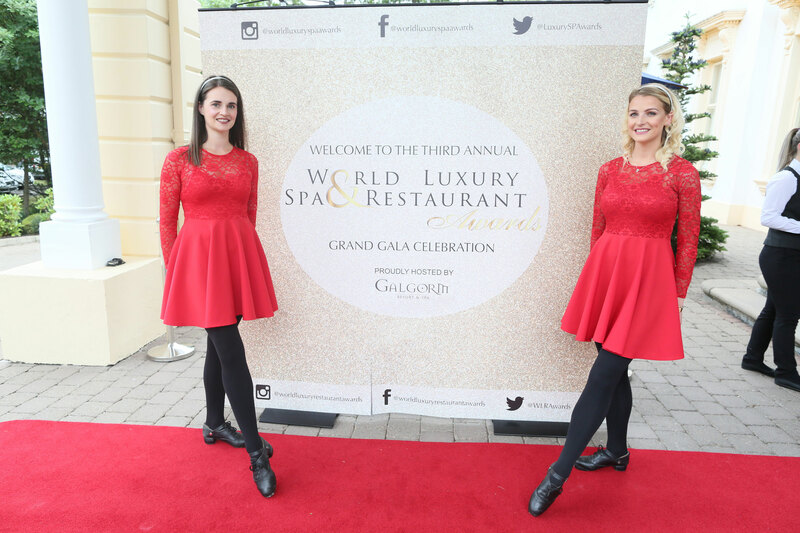 To accompany the sensational food were the awe-inspiring, national and world champion Irish dancers, The Hooley, who provided world class entertainment which was specially choreographed for the event. 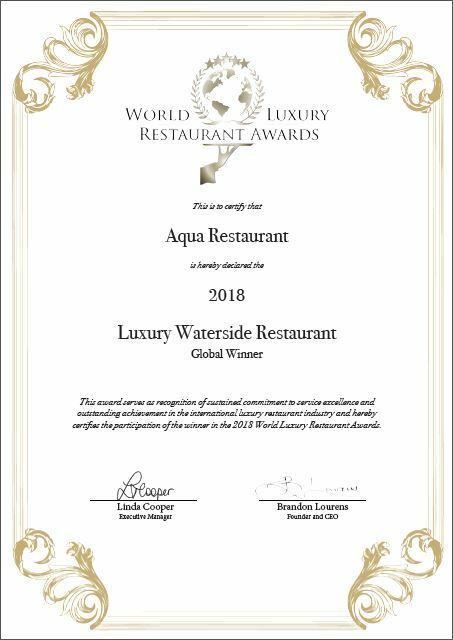 Aqua were stunned and delighted to be presented with 2 global awards for Luxury Seafood Restaurant and Luxury Waterside Restaurant. 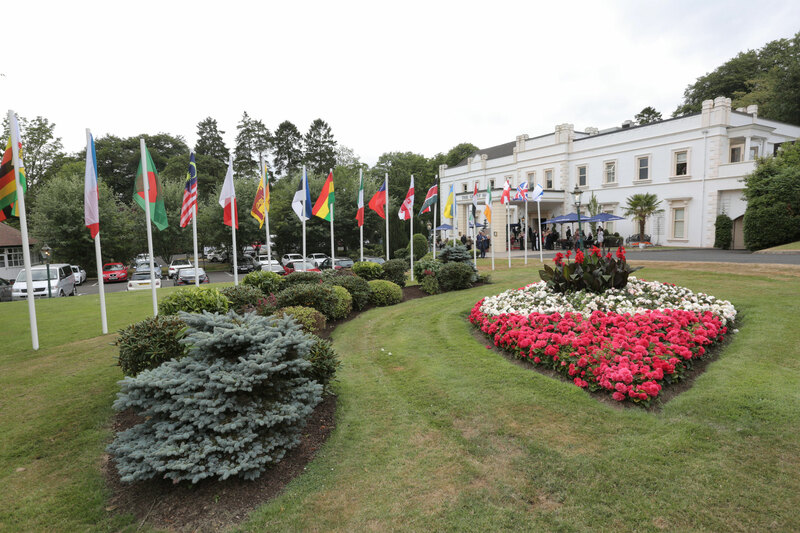 All attending the event were impressed with the entire evening, especially with the representation of each attending country’s flag outside the entrance of the Great Hall. 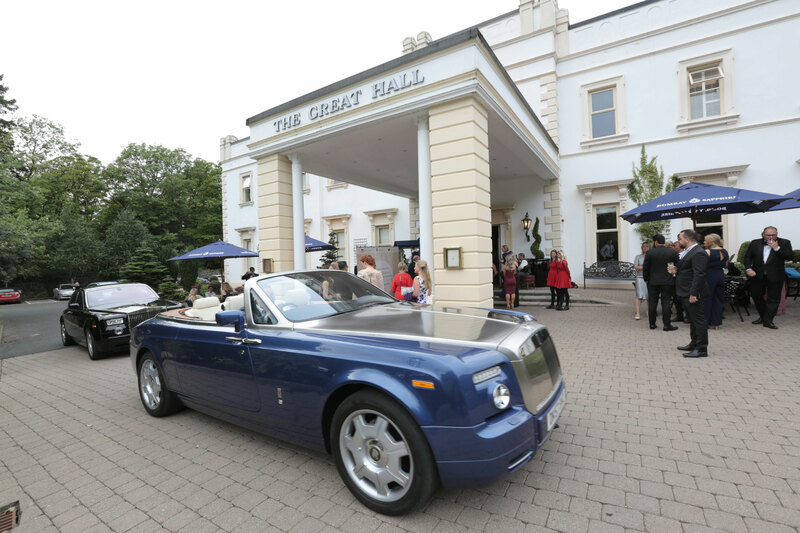 The awards were well received and the evening flowed smoothly from start to finish, culminating with the much anticipated Global awards, followed by the winners of the Global Spa and Restaurant of the Year winners. The 2018 Global Spa of the Year was awarded to Este Fitness & Spa in Bulgaria. This sought-after award was well deserved for this luxury spa that has stood out among the worlds’ most advanced, respected and trusted treatment centres. The award was accepted by Nadia Halacheva, Spa Director. 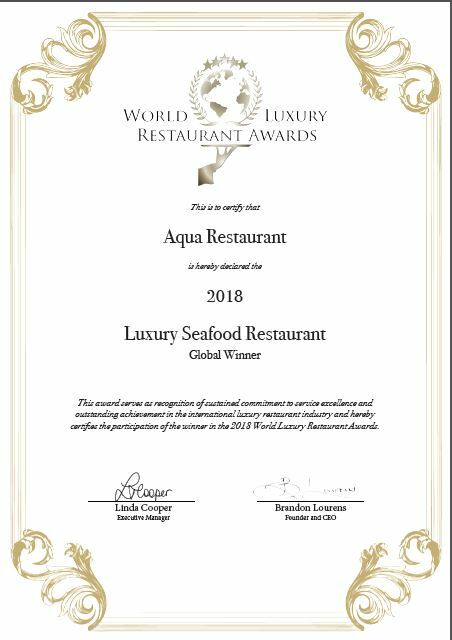 The 2018 Global Restaurant of the Year was awarded to Le Grand Restaurant, a luxury restaurant that has showcased outstanding and original creativity, ambience, service and fine dining, among the world’s most respected restaurants. The award was accepted by Yohan Jossier, Restaurant Director and Alexandra Madesclair Freud, Development Manager. 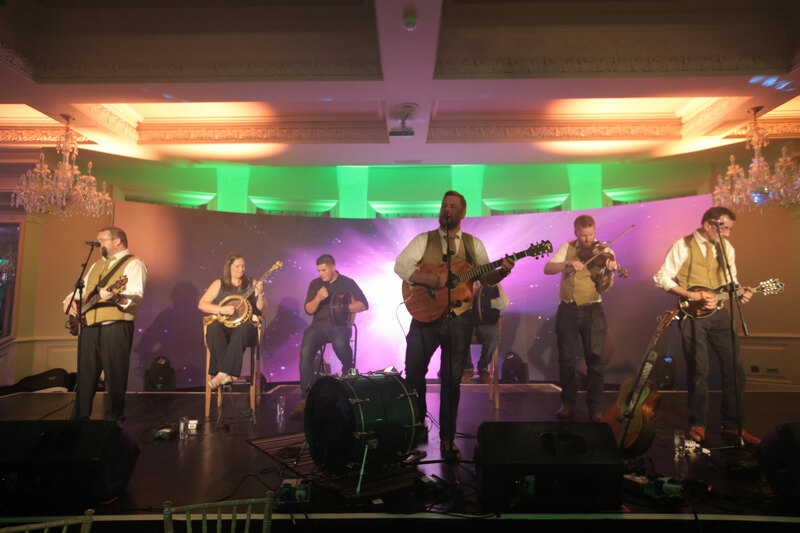 Guests were invited to remain and celebrate their success together which duly happened till the wee hours in traditional Irish style.